After discovering George Winston on Windham Hill Records at a record store at the mall [it was playing in the store, so miss those days!] I had to check out the label’s other offerings. This time was the heart of the New Age revolution that was pretty much started by Windham Hill. Considered by some as background music, a lot of the albums were quite adventurous, with a more jazzy sound that one would expect. 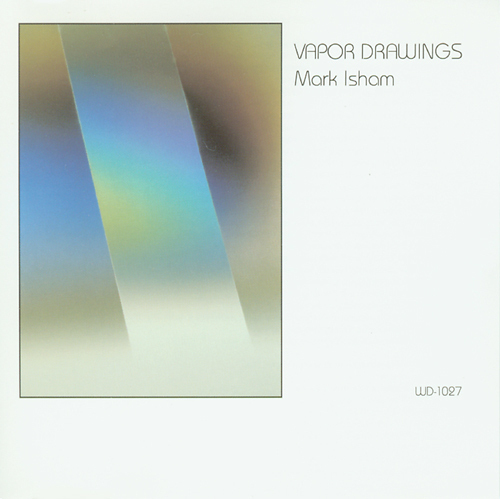 Then there was Mark Isham. I did not know what to expect when I purchased 1983’s ‘Vapor Drawings’, I liked the cover and the name. Little did I know that this was to be an eclectic mix of jazz trumpet and synthesizers. I had already discovered the electronic sounds of Tomita and Wendy Carlos, but this was more modern, and much more than ambient music. These are a type of jazz/synth/soundtrack songs. Easy to see why he has composed dozens of film soundtracks. The Windham Hill LPs are my favorite by far, and ‘Vapor Drawings’ still gets played at least twice a year.